Just received an adorable mummy rabbit (complete with carrot, knickerbockers and baby) in the post! Sadly, they won’t be staying here long as they will be hopping off to my granddaughter for her first birthday . Very many thanks for handcrafting such a lovely gift! 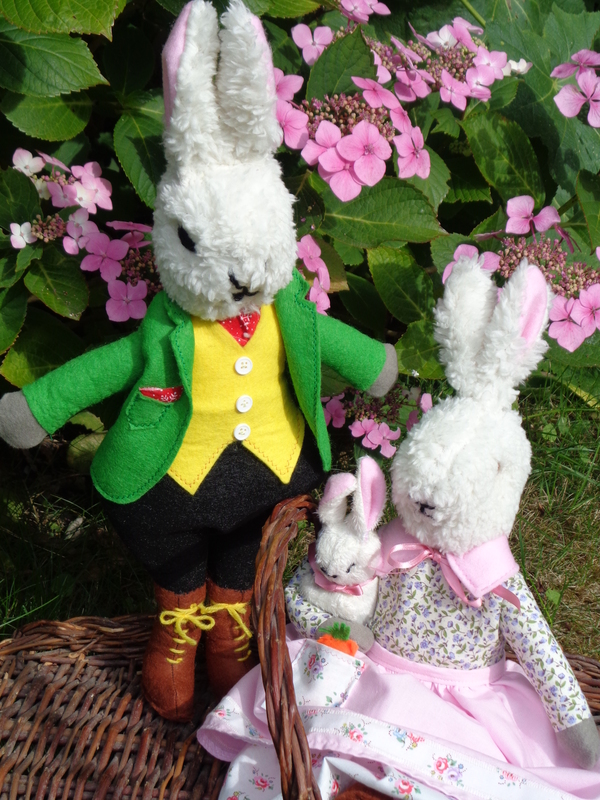 Thank you, Louise, so much for your kind comment and I am so glad you like Mummy rabbit and her baby! I had great fun making them and am busy making a Daddy one now. I hope your Granddaughter has a lovely birthday.